I also cannot start the game at the stage where there are 3 options: Start, Load game and Options. Can anyone tell me what's the problem here ? 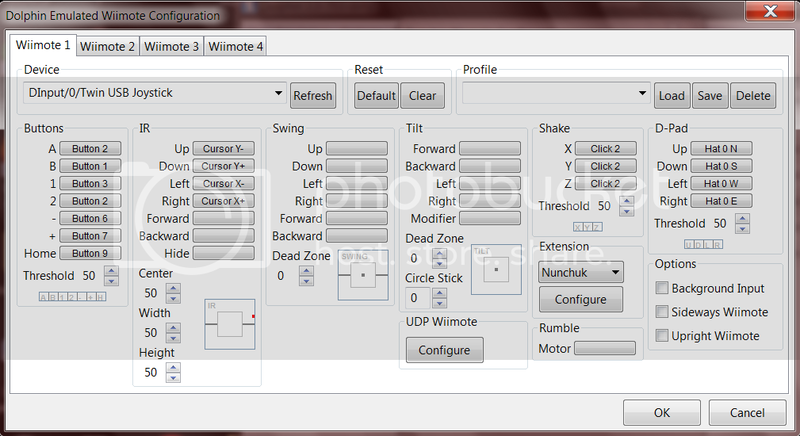 Here is my controller configurations, I've used this to play other games like The Last Story or Xenoblade with no problem so far. What is exactly your problem? Are you not able to choose one of the 3 options? Do you get a blackscreen when you choose one of the 3 options? Pls give us more information. (11-03-2012, 12:42 AM)DefenderX Wrote: What is exactly your problem? Are you not able to choose one of the 3 options? Do you get a blackscreen when you choose one of the 3 options? Pls give us more information. Does it work with keyboard? Did you try to use the keyboard? Did you notice you assigned the same button to "A" and "2"? Guess what ? That was exactly the problem, haha. I didn't even notice that since no games I've played so far had problems with my wrong config. Oww, I'm really ashamed. Anyway, the problem is fixed, i can start the game now. Thank you very much for pinpointing out the problem for me ^^ ! (11-03-2012, 01:44 AM)yuushanderia Wrote: Guess what ? That was exactly the problem, haha. I didn't even notice that since no games I've played so far had problems with my wrong config. Oww, I'm really ashamed.